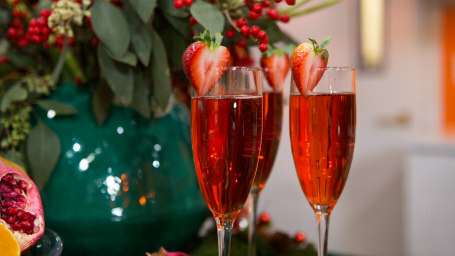 All the recipes you need to ring in New Year’s Eve and start fresh for the new year’s resolutions. 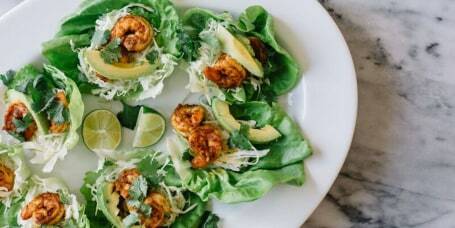 This healthy shrimp taco recipe uses butter lettuce leaves in place of taco shells for a light, refreshing take on seafood tacos. 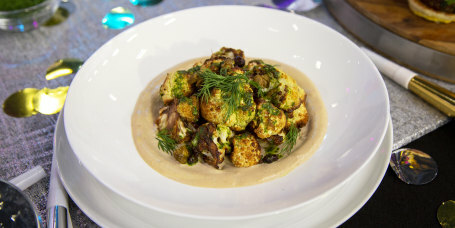 This healthy charred cauliflower recipe is loaded with delightfully earth Mediterranean flavors. 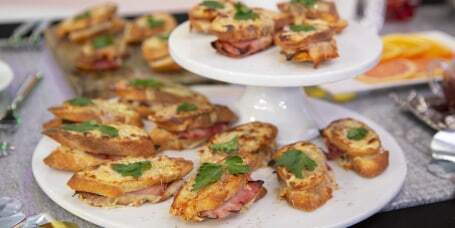 A classic croque monsieur is the perfect comfort food for any time of day. 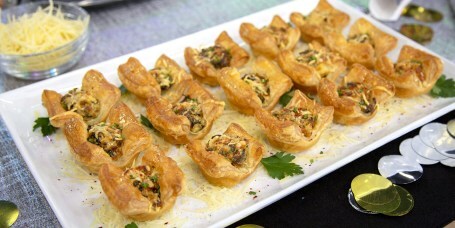 This recipe for spinach and artichoke dip baked into mini puff pastry bites is perfect for parties. 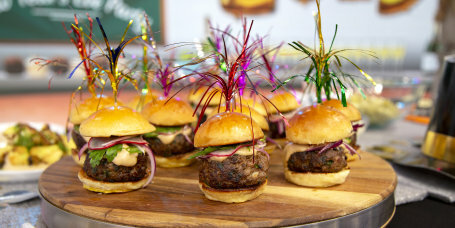 Zesty Mediterranean flavors make these mini lamb burgers topped with an irresistible tahini sauce and fresh radish salad super special. 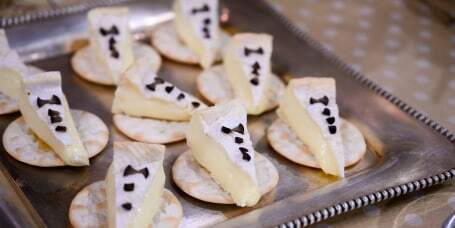 These brie bites with black olives will be the best-dressed guests at your New Year's Eve party. 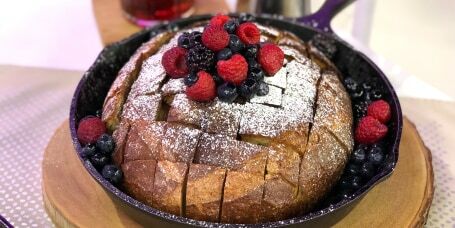 This oven-baked pull-apart french toast recipe is easy to make before brunch gets started so it's perfect for entertaining. 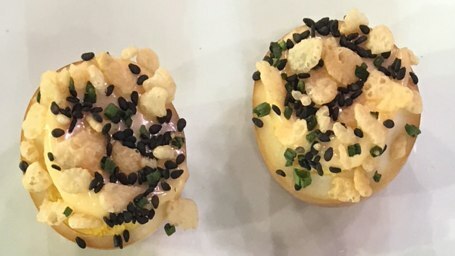 Top popcorn with an everything bagel seasoning blend for a great party treat. 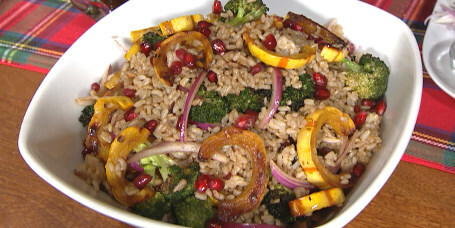 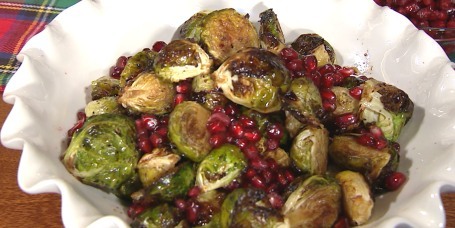 Gaby Dalkin's Brussels sprouts recipe calls for pomegranate seeds for a pop of color and bright flavor. 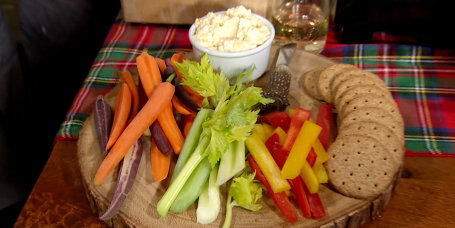 Use up all those leftover odds and ends of cheese to make this easy cheese dip (aka fromage fort). 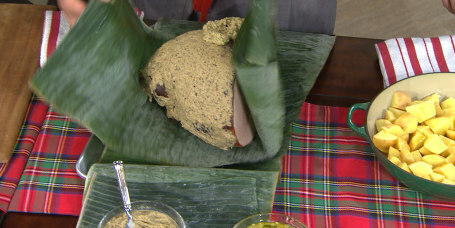 Jerome Grant gives holiday ham a Caribbean spin with jerk seasonings and mojo. 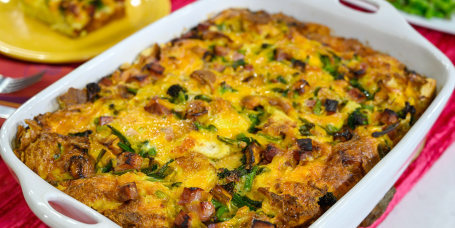 If you have leftover ham from Christmas, Easter or any other occasion, make Siri Daly's easy ham and vegetable casserole recipe. 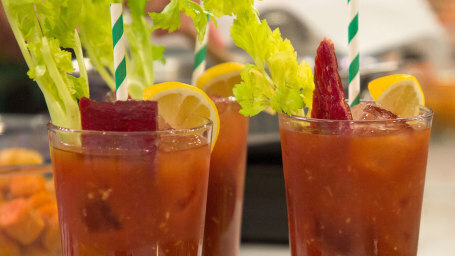 Adding bacon to a shrimp cocktail takes it to the next level. 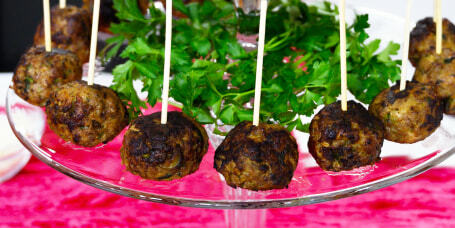 Brian Malarkey's Italian pork sausage and olive meatballs are perfect for parties. 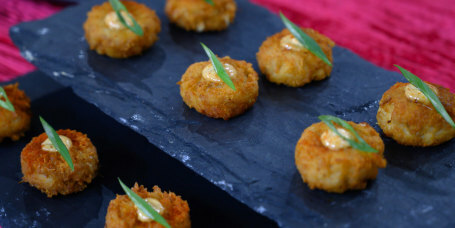 These citrusy, spicy crab cakes contain no breadcrumbs so they're low carb. 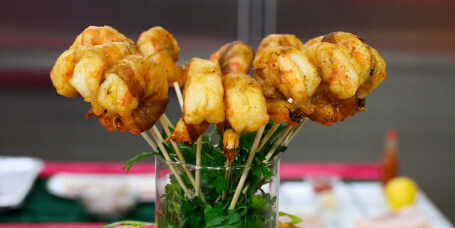 Cook them in mini muffin tins for the perfect hors d'oeuvres. 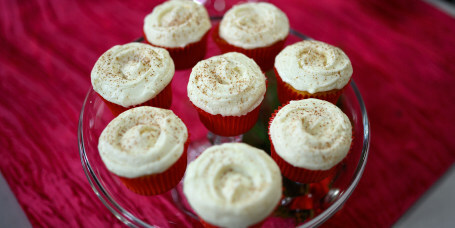 Top vanilla cupcakes with eggnog buttercream for a festive cupcake. 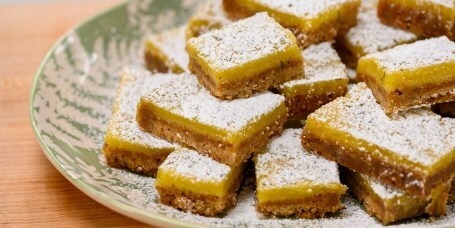 Gail Simmons shares a recipe for rosemary-lemon pecan bars that can be made ahead and refrigerated or frozen. 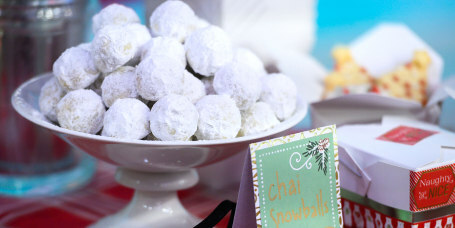 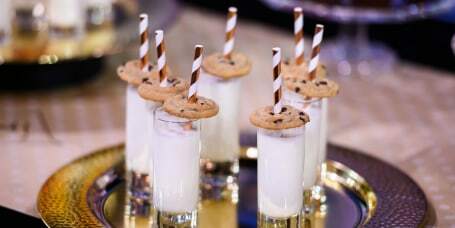 Martha Stewart shares her recipe for holiday snowball cookies flavored with black tea and chai spices. 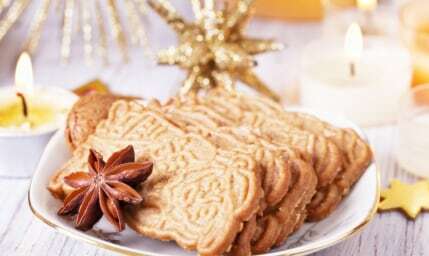 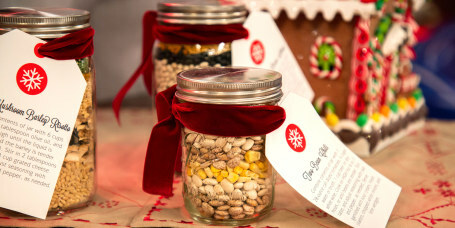 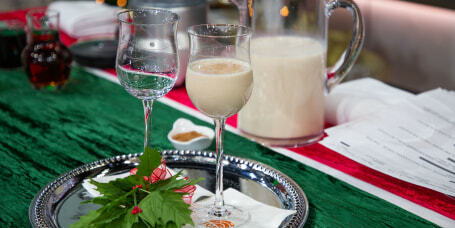 Gesine Bullock-Prado shares her recipe for spekulatius, a spiced holiday cookie. 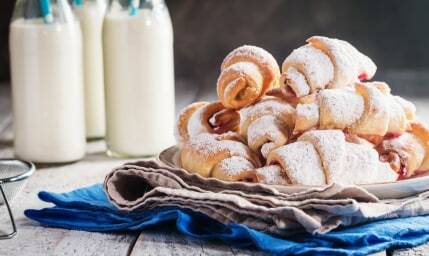 You can make Gesine Bullock-Prado's rugelach with any type of jam or nut you like. 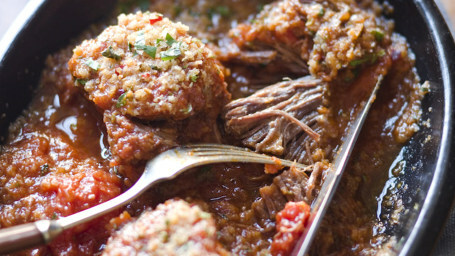 Using a Dutch oven takes these braised short ribs to the next level. 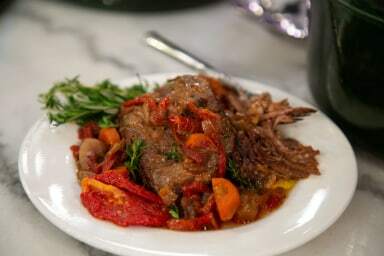 The depth of flavor is highlighted from the smoky Worcestershire, the bright, fresh lemon, the sweet pickle juice and the kick of hot sauce. 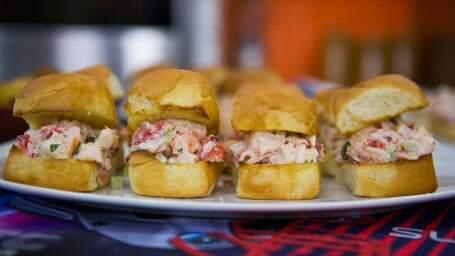 Make mini lobster rolls in just 15 minutes to feed a crowd fast on game day. 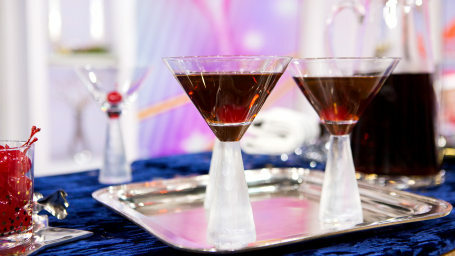 Make a perfect Manhattan cocktail with whiskey, vermouth, bitters and a sweet cherry to finish. 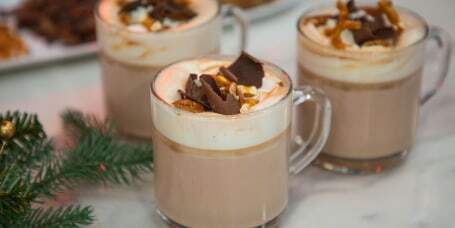 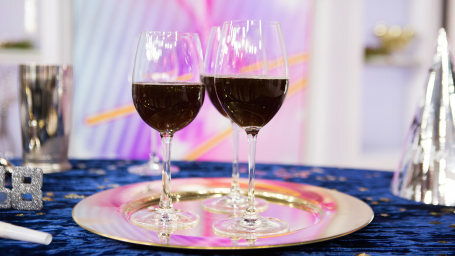 Get a caffeine and boozy buzz from this coffee cocktail with grappa and amaretto liqueur. 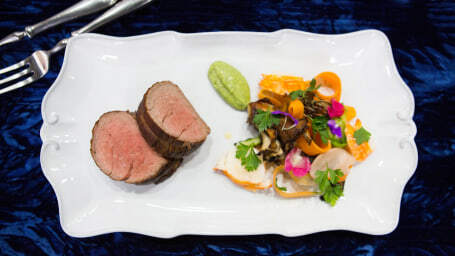 Ring in the New Year with a ritzy steak and lobster meal with a flavorful fresh vegetable salad. 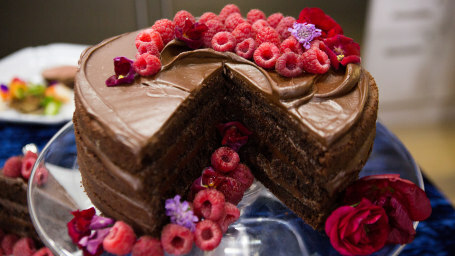 Adding hot coffee to the batter before baking makes this cake extra moist and boosts the chocolaty flavor. 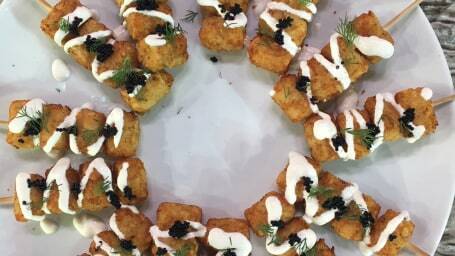 Dress up Tater Tots with herbed sour cream and caviar for a fancy party snack that's super-easy to make. 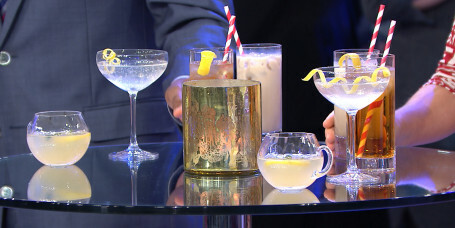 Mix up a classy cocktail with Champagne and tequila for your New Year's Eve party or New Year's Day brunch. 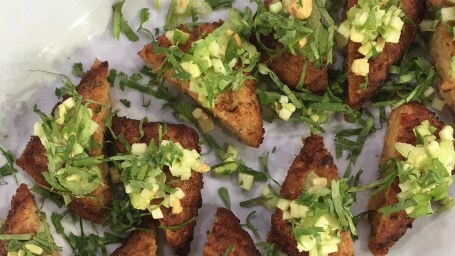 These crunchy fried shrimp toasts will impress your party guests for New Year's or any festive event. 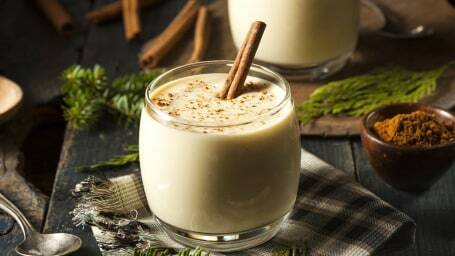 This easy recipe for drunken eggs calls for marinating them in a sweet and savory soy mixture for 24 hours, which gives them a great flavor. 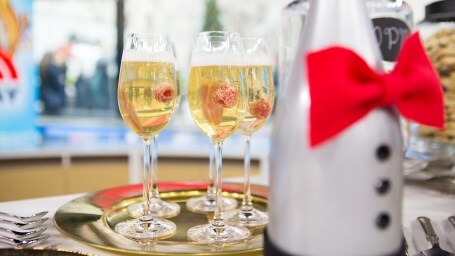 With just three ingredients, you can make a strawberry cocktail that's thats sweet, bubby and festive.